With some birthday celebrations this weekend, I decided to bake a cake as a birthday gift and share some chocolate-y goodness. This recipe is for a simple but moist pound cake with a perfect amount of Chocolate Glaze on top to compliment. The recipe wasn’t too hard to make, but it took some arm muscles to really mix the batter as it ends up becoming a thick ‘mousse’ like texture towards the end. The smell of the cake still wafts of delicious chocolate and espresso even hours after you’ve taken the cake out of the oven. I was pleasantly surprised how much everyone liked the cake! Even ‘non cake’ eaters were raving for another piece of chocolate explosion. All it was missing was a generous scoop of vanilla ice cream :). COMBINE: the dray ingredients alternately with the milk mixture (begin and end with the dry). Scrape down the side of the bowl after each addition. Pour the batter into the prepared pan. BAKE: in oven for 60 minutes or until a wooden skewer inserted into the centre comes out clean. CHOCOLATE GLAZE: In a double boiler, or in a heatproof bowl set over a saucepan of simmering water, melt the chocolate chips and butter until very thin and smooth. Whisk to combine as they melt. 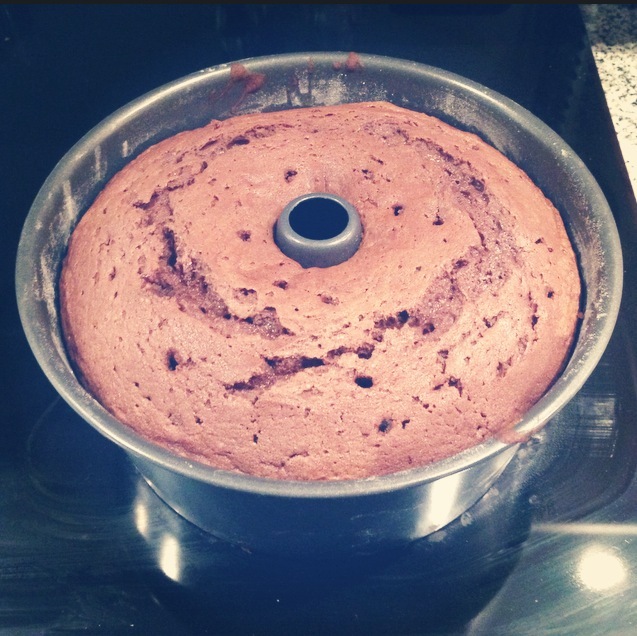 When the cake has cooled completely, slowly pour the glaze over the top. Allow the glaze to set for about 30 minutes at room temp before serving (you can refrigerate the cake to speed up the setting time). 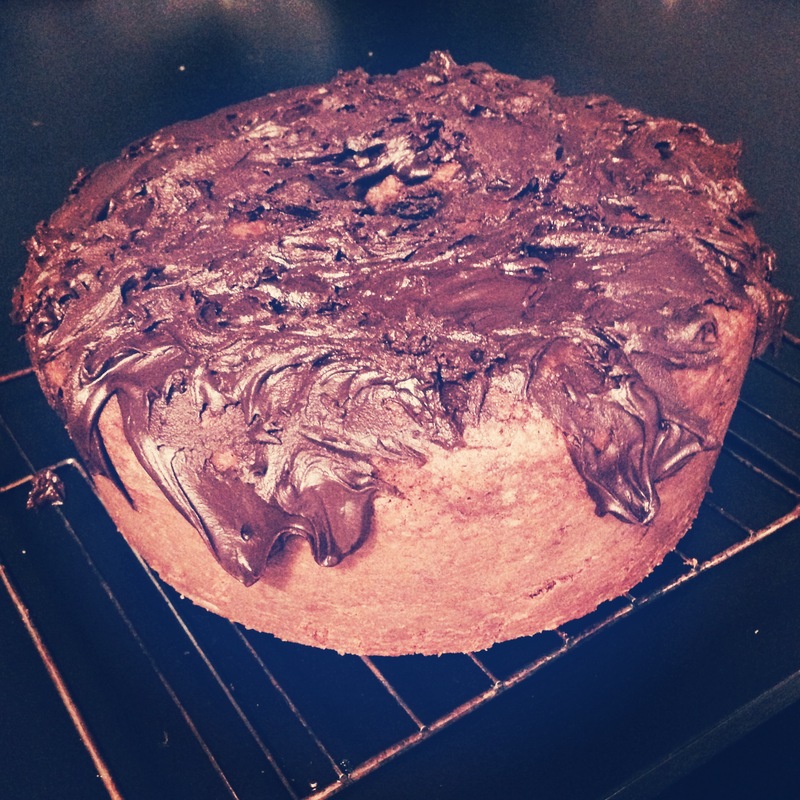 Posted in Baking, CakesTagged baking, chocolate, chocolate glaze, espresso, pound cake, recipesBookmark the permalink.